Providing you the best range of bin washing machine, crate washer, automatic fruits vegetables washing machine, bubble food cleaning ozone washer, conveyor washers for propane tanks and hydroget cleaning machine with effective & timely delivery. Discover SS Engineer’s industrial washing machine solution today by contacting us directly for a tailor-made quotation for your needs. 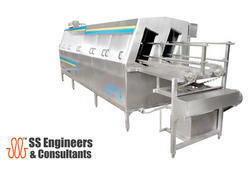 SS Engineer’s washer can clean everything, from transportation and pack Bins to production line Bins and utensils. 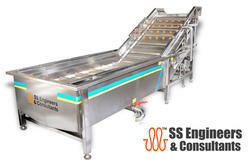 If necessary, SS Engineers can customize your material handling system suiting to your specific needs. It does not matter what kind of crates you use, you can clean them through SS Engineer’s Bin washing system. SS Engineers uses advanced cleaning technique which can clean all types of Bins quickly and efficiently at all the sides. Discover SS Engineer’s industrial washing machine solution today by contacting us directly for a tailor-made quotation for your needs. 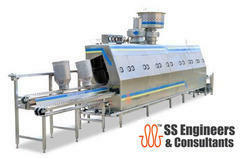 SS Engineer’s washer can clean everything, from transportation and pack crates to production line crates and utensils. If necessary, SS Engineers can customize your material handling system suiting to your specific needs. 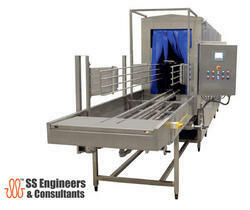 It does not matter what kind of crates you use, you can clean them through SS Engineer’s Crate washing system. SS Engineers uses advanced cleaning technique which can clean all types of crates quickly and efficiently at all the sides. 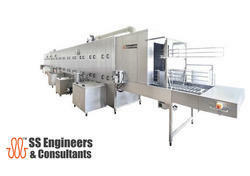 SS Engineers & Consultants also manufactures quality and safety proven fruit and vegetable washer! 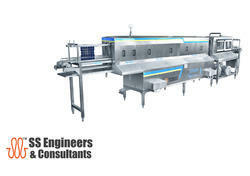 with years of experience in fruit and vegetable washing machines, SSEC is committed to provide its users with exceptional performance and services. To meet the growing demand for Vegetable Leafs cleaning equipment, SSEC incorporates sophisticated technologies to enhance the power and convenience of each cleaning machine. In fact, SSEC is the most respected in the industry for its production of high quality, efficient cleaning machines, whether you are looking for a commercial or industrial cleaning equipments. We are a renowned organization that is engaged in manufacturing and supplying precisely Conveyor washer for propane tanks. 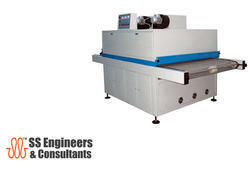 We are a renowned organization that is engaged in manufacturing and supplying precisely Hydroget Cleaning Machine. SS 304 Pallets washing machine, suitable to wash plastic pallets, wooden pallets, steel pallets. The same is true for Pallet Washer they are used in large numbers worldwide in all sorts and sizes. But no matter what sort of pallet you are using, we have a design to suit cleaning system to match.Our know-how is not simply restricted to crate, pallet and container washers and Conveyors we regard the cleaning of every kind of product as a challenge and have made it as our specialty. Over the course of the years, we have designed all types of cleaning systems for jelly cans, plates, lids, molds, barrels, buckets, and lots more besides. 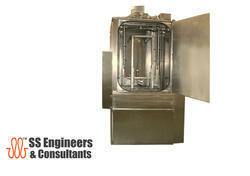 So if you would like your product cleaned in large quantities, then it´s certainly worthwhile coming to us. the machines come with a deep sink, then raised rib conveyor belt to stall the plates and bowls on the same carried further for a Hot water Alkaline wash, followed by Hot water wash and air drying system. The machine is complete in SS 304 construction. The same is true for pallets; they are used in large numbers worldwide in all sorts and sizes. But no matter what sort of pallet you are using, we have a design to suit cleaning system to match. Our know-how is not simply restricted to crate, pallet and container washers and conveyors we regard the cleaning of every kind of product as a challenge and have made it as our specialty. Over the course of the years, we have designed all types of cleaning systems for jelly cans, plates, lids, molds, barrels, buckets, and lots more besides. So if you would like your product cleaned in large quantities, then it’s certainly worthwhile coming to us. Keeping the track of latest happening in this domain, we manufacture and export the premium quality of Can Washer. Ideal for washing and drying food containers, the rendered can washers are highly demanded in various food processing industries. Our patrons can avail the rendered can washer in various technical specifications. 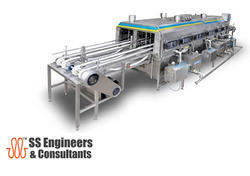 SS Engineers & Consultants milk container washers offer unrivaled power and durability versus other brands in the market especially for inside / out cleaning. 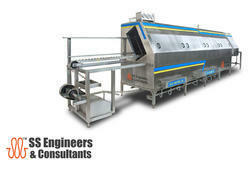 Discover your containers washing solution today by contacting us made for your needs. Thinking about food contamination and responding appropriately to ensure safe food is a crucial part of food processing operations. Mainly in the dairy industry, milk Containers are a convenient and attractive means of transportation of milk from farms. It protects milk from environmental influences and damage during distribution. Rigid and semi-rigid containers made of a wide variety of materials are filled with product and securely closed. The container needs to be cleaned to remove soil, foreign objects, and other contaminants. 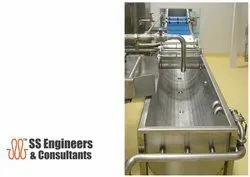 SS Engineers & Consultants are one of the most Dynamic Professionals in Design and manufacture of Utensils washing and drying lines, SS Engineers are experts in manufacture of Industrial washing systems suitable for Mass, Medium and Small companies. We designed a machine for Utensils manufacturers to wash and dry the polished utensils, metal kitchen cookware, stainless steel and aluminium pots having high rate of production. 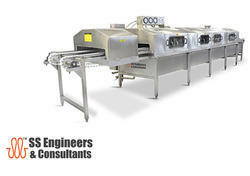 SS Engineers & Consultants crate washers with associated handling systems are manufactured in stainless steel construction to meet the highest possible standards for cleanliness, dryness and efficiency. 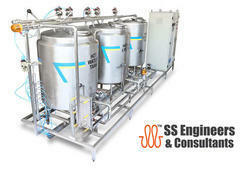 SS Engineers Washing units fulfill the most demanding requirements for capacity, efficiency, hygiene, energy consumption and environmental protection. 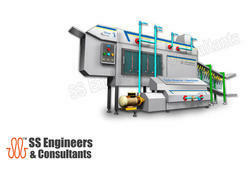 SS Engineers design and build tailor made washing machines, tailored to your specific needs ranging from two hundred to thousands of crates washing per hour. SS Engineers washing machines give you the perfect cleaning solution with its three compartment washing system designed to manage large numbers. 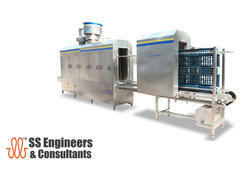 SS Engineers guarantee the desired washing and drying result. The CIP Equipment is used to clean at a site of material pipe of the industries like milk products, juice, beverage and etc. And recipients a centrifugal pump which is used in CIP to convey cleansing liquid into material pipe and equipment recipients to force. The cleaning liquid to circulate to make cleaning without taking apart pipes or equipment with the system, the equipment availability can be improved and intensity of labor lessened. Do you use crates and you need enough clean crates made available for your daily demand ?. 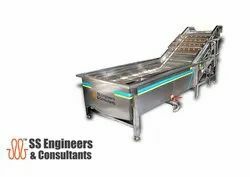 SS Engineers & Consultants Egg Tray Washing Machine for washing Commercial Egg Trays, the trays used in the egg processing industry can become extremely dirty and often stick to one another. Cleaning of industrial parts always is a worry in mechanical industries. Most of the industries are still cleaning the parts by hand scrubbing. The residue on parts has been removed by rubbing the cleaning solution with the help of brush. The cleaning method is time consuming, waste of manpower, still cleaning is not consistence & not up to the mark. Besides Crates washing equipments, SS Engineers & Consultants has developed Ultrasonic Cleaning equipment for industrial parts cleaning. SS Engineers Ultrasonic cleaning machines are successful in removal of grease, hydraulic oil, rust, grime, carbon, aluminum shavings and material gassing contaminated on industrial parts. Wheelie Bin Washing Machine comes in 3 sizes, it is very well suited to wash the dirt, grease and oil stains from Bins, trays, and containers. The construction of the machine is SS 304 makes it more durable and corrosive resistant. The machine functions with Hot water alkaline wash, Hot water wash and optionally sanitizer wash cycle. Discover SS Engineer’s industrial washing machine solution today by contacting us directly for a tailor made quotation for your needs. 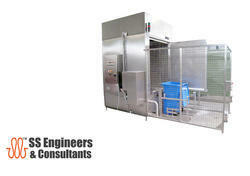 Clean crates meet the hygiene requirements of your customer. To achieve that, you need high quality and flexible washing machines. You should be able to wash many types and sizes of crates. Crates with different pollution, without the risk of contamination, label removal and then you also want the crates dried. 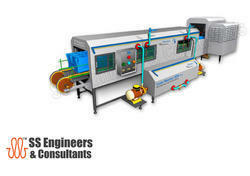 SS Engineers supports you with advanced washing systems: industrial washing machines, drying systems and the automated delivery and removal of crates and an integrated system that you can fully automate, we can develop these systems especially for you. SS Engineers work alongside you to bring out the best possibilities. 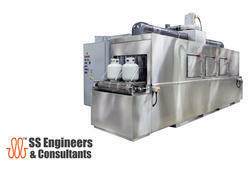 SS Engineers assure you of a reliable machine thar will meet desired washing and drying results! Cost-Effective and eco-friendly movement of products has always been a challenge in process industries, transportation is a major contributor to cost in the production of goods. In such option for companies, here’s appraising on how this new system by the way of automation facilitates cost saving and optimizes speed and efficiency in the internal transportation of their produce. Our experience in design and manufacture of different washers has developed superior designs in Tray washers. We are an established leading manufacturer of high quality Tray washers to suit all industries, supplying machines worldwide from India. If you would like any further information with regards to our cleaning equipments, then please mail us at sales.ssengrindia@gmail.com, our engineers will work out the cost effective cleaning solution for you. 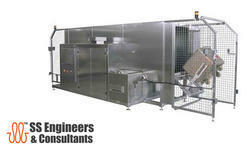 Crate Scrubber is used for cleaning the solid particle on the crate (i.e. dust, muddy crates), the motor is provided to withstand the scrubbing force, this is a manual process equipment. Capacity: Depend on condition of crate. 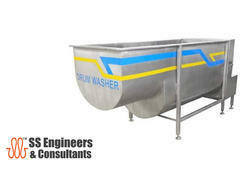 SS Engineers have developed Drum Washing Machine for the internal and external washing of open drums with water. Three brushes rotate at different speeds which causes a rotating movement of the drum as well as an effective functioning of the brushes. The drum washing machine can be executed for the washing of one drum or two drums with varying dimensions at the same time. The washing machine can be executed with a water saving system which reduces the consumption of water considerably. 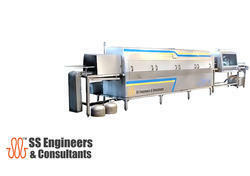 Automatic washing installation: For those companies who have to clean large quantities of drums almost continuously, SS Engineers offers a fully automatic washing installation. The containers are placed on a driven conveyor system. The conveyor belt transports the drums to the washing machine. 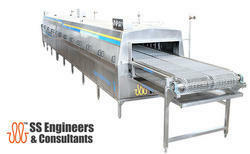 The handling and cleaning is executed fully automatically. After cleaning the drums are led to a tilting device and turned upside down so that the water can leave the drums. The cleaned drums are finally collected on a non driven conveyor belt, ready for re-use. Hot Air Drying & Aircooling sections. 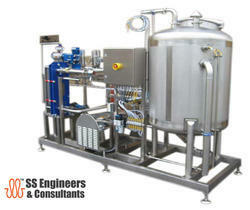 SS Engineers are experts in the manufacture ofIndustrial washing systems suitable for Mass, Medium and Small companies. One key that sets SS Engineers & Consultants apart from its competitors is its continuous research and development and utilization of the highest quality components in construction of all its machines. Used on carrier, containers to remove excess oil, grease, wax and other non-water soluble particles. Used where water-based system are impractical. Cleans and prepares (degreasing) surfaces for various finishing processes. Part oxidation and water spots are eliminated. These machines finds various applications in Pharma, cosmetic and edible oil industries, where the product is very costlier and the product recovery is important, by the application of steam the oil, grease exist on the surface is removed, letting it drain to store. Automobile parts cleaning machine, bins cleaning machine, mass cleaning equipment, surface cleaning machine. 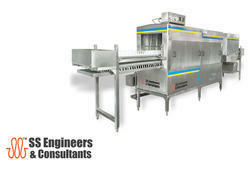 SS Engineers & Consultants also manufactures quality and safety proven fruit and vegetable washer! 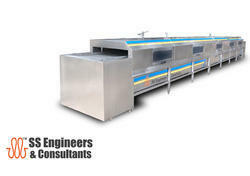 With years of experience in fruit and vegetable washing machines, SSEC is committed to providing its users with exceptional performance and services. To meet the growing demand for Vegetable Leafs cleaning equipment, SSEC incorporates sophisticated technologies to enhance the power and convenience of each cleaning machine. In fact, SSEC is the most respected in the industry for its production of high quality, efficient cleaning machines, whether you are looking for commercial or industrial cleaning equipment.